Show your support for our brave men and women with an All American Outfitters-We Fight the Fight t-shirt and sweatshirt, all in wonderful colors. 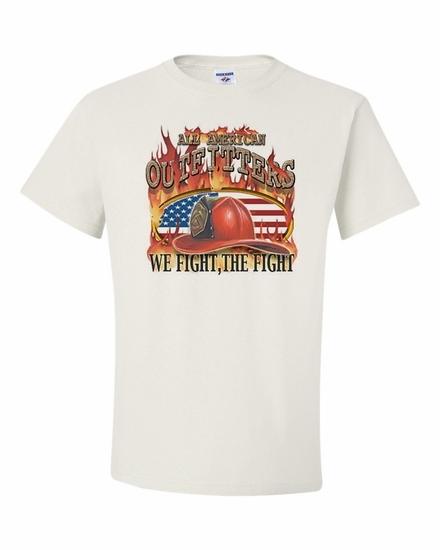 We offer an All American Outfitters-We Fight the Fight coffee mug too-a great gift, and perfect way to start the day. Remember� you found the All American Outfitters We Fight the Fight Shirts at TShirtHub.com, where high quality came at a low price.